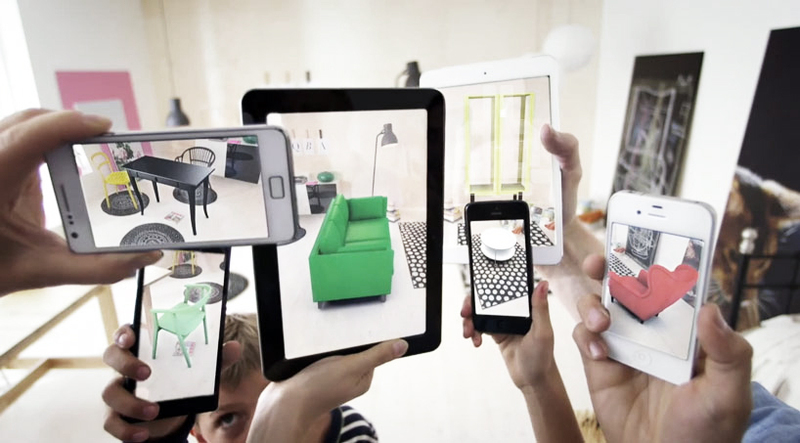 Carousel Creative produce and create amazing Augmented Reality solutions and experiences. Why include AR in the marketing mix? Augmented Reality (AR) provides your business with an extraordinary marketing tool to create content that engages more with your customers, can save your business lost reveue on product returns (increasing ROI), increase customer service, increased sales opportunities and more. 1) Create – We place elements onto the canvas to build your scene. 2) Publish – We send your content to devices in minutes. 4) Manage – We can manage any tweeks or updates an an ongoing basis if required as we save your project. 5) Track – We provide in-depth reporting, we can monitor your campaign’s progress from impressions and downloads, to interactions, users, revenue and conversions. Understand what’s working for you and adapt accordingly with real time analytics feedback. How can I apply AR to my business? Publishing – Include AR in a publication to increase engagement and create immersive storytelling. Education & Training – Create visual and interactive content that drives learning outcomes. FMCG – Wow your customers with exciting experiences that gets them talking about your product. Furniture & Homewares – Allow your customers to see your product in their environment (Customers can change colour, style, features, fabric, product. Reduce returns and increase ROI. Buy now options, interactive store finders, creating a virtual showroom. Customisation – 3D Animation, 2D content, Video and 360 video, App themes, App pages, AR & App UX templates, Features and Functionality, Gaming Mechanics, Deploy to wearables, End-to-end bespoke integration. Art & Culture – Augmented Reality can bring to life a normally otherwise static art exhibition, engaging and grabbing the attention of audiences through tools that they have in their pockets. Art comes to life, images are animated and immersive storytelling overlays the artwork. Real Estate – 3D property visualisations, Augmented showreels, Video and audio content, 360 degree images, interactive neighbourhood maps, links to real estate agents and agencies, agent profiles. Customers will be able to visualise a property and it’s features in 3D. Improve confidence in purchases and drive sales, let buyers prequalify their interest and trust in a property that is not yet completed, drive engagement and active buying behaviours, add excitement to the task of hunting for a property, allow customers to experience a property when it suits them.